It’s a familiar theme that never gets easier to deal with. 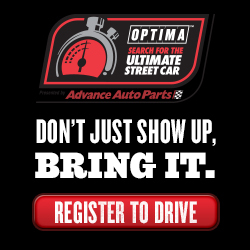 Take away the contact at least one of BimmerWorld’s three GRAND-AM Continental Tire Series Street Tuner entries received, and the full team could have filled the top 10. Fortunately, the Dublin, Virginia-based BMW experts had the No. 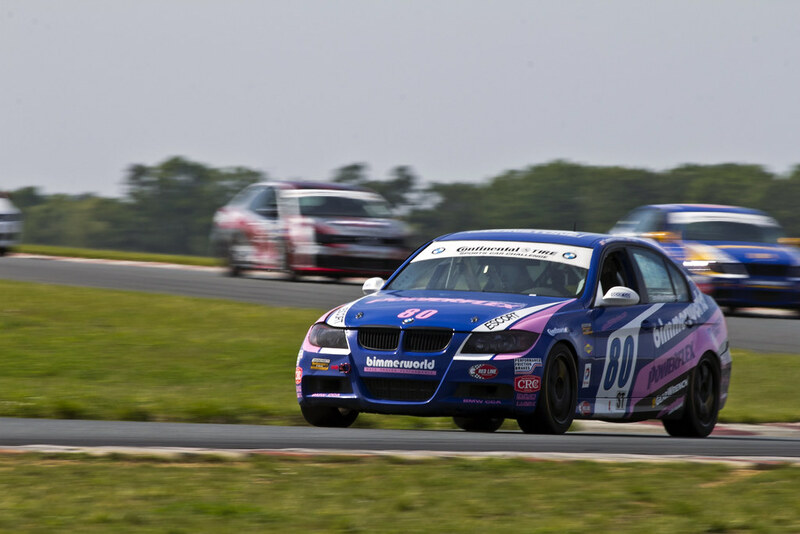 82 CRC BRAKLEEN® BMW 328i driven by Seth Thomas and Dan Rogers made it through the New Jersey Motorsports Park round unscathed, netting a season-best second-place result for the duo. The No. 80 BimmerWorld BMW 328i driven by team owner James Clay and co-driver John Capestro-Dubets wasn’t quite as fortunate, and the sister No. 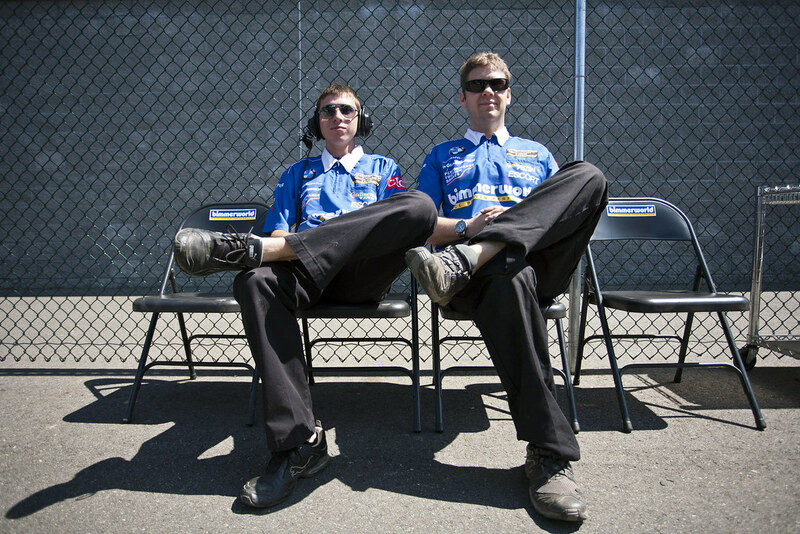 81 of Gregory Liefooghe and David Levine was also forced into the pits for cooling system repairs. “I was pretty upset about the contact with my car two turns into the race that killed our chances for the strong result I feel we were headed towards this weekend,” said Clay as he gave an account of his team’s day. 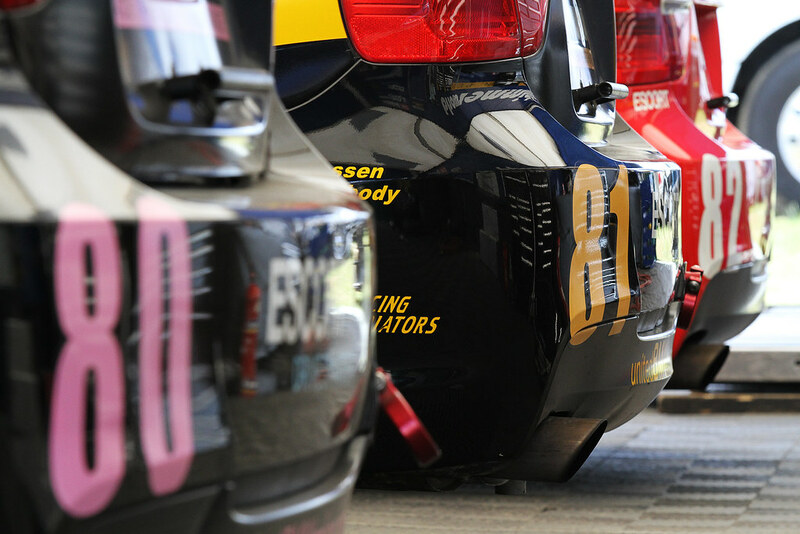 After receiving a contentious stop-and-go penalty after stepping out of line on a restart to avoid a number of stalled competitors, Rogers marched forward in the field, picking up more than a dozen positions from the No. 82’s 24th-place qualifying position before handing over to Thomas. Once the No. 80 was repaired by BimmerWorld’s ace team of technicians, Rogers worked with Clay acting as a tail-gunner and used the BMW’s handling prowess and its class-leading Performance Friction brakes to reach the top 10. 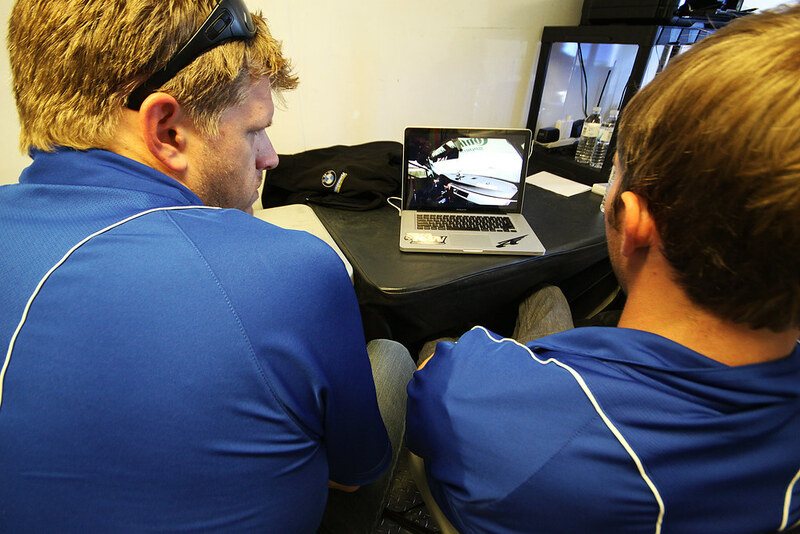 Along with Clay and Liefooghe, as one of BimmerWorld’s veteran, race-winning pros, Thomas has worked diligently with Rogers to share his knowledge and expertise to help him extract the most from the No. 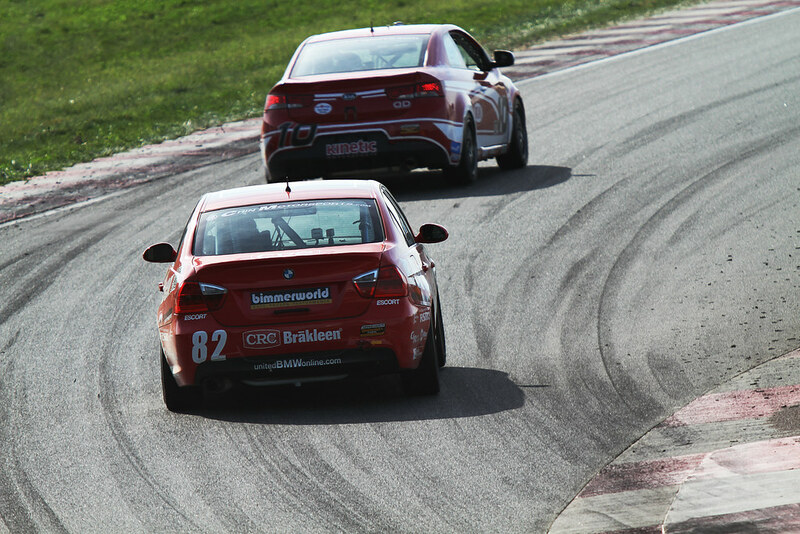 82 CRC BRAKLEEN® BMW 328i, and the results are clearly paying off. Looking at where the team stands after four rounds of the 10 Round championship, Clay is feeling confident about his team, cars and drivers as the pace of the championship is about to increase. 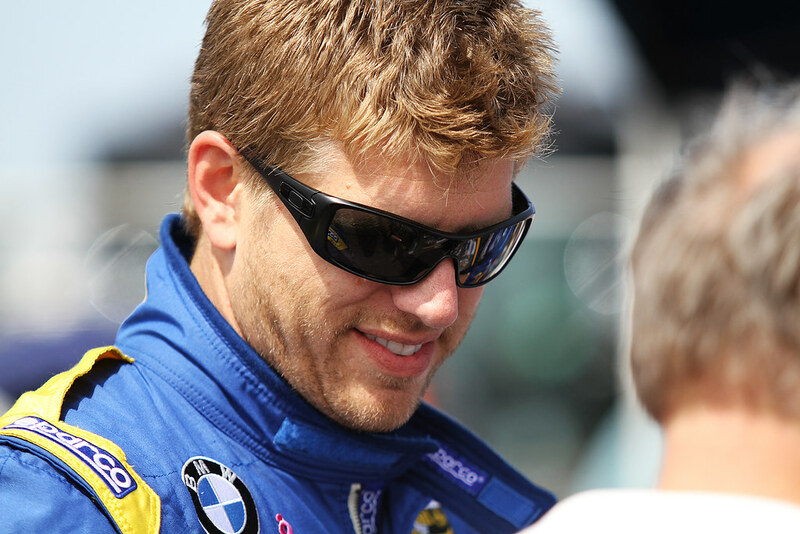 As one of BimmerWorld’s most tenured drivers, Thomas also offered his appraisal of where the team’s three-car 2012 program ranks among a decade of professional teams fielded by the team. “The team James has assembled this year is very similar to the team we had in our championship fight in 2010, but stronger,” he explained. “I can see the crew guys are gelling together well. 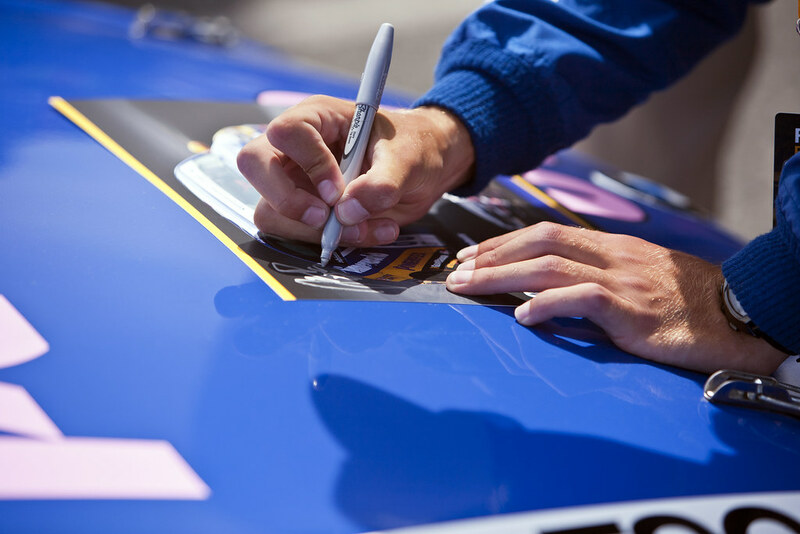 They work hard every weekend to give us a great car to race. 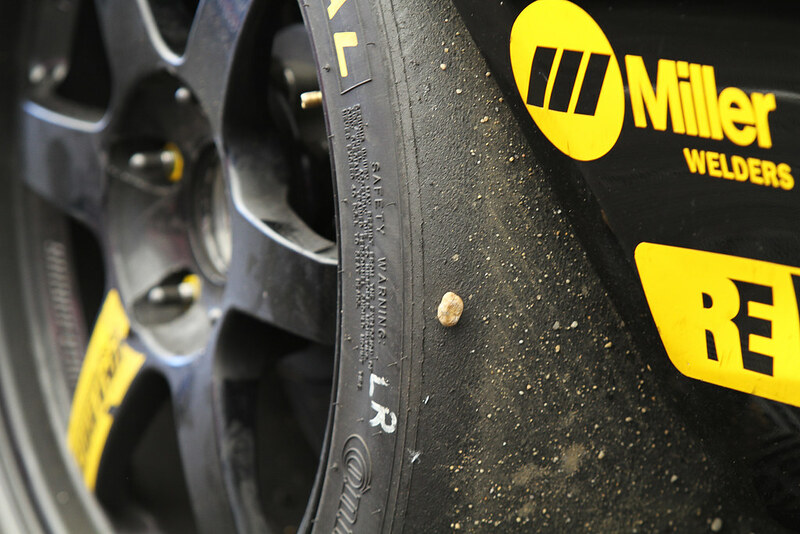 The engineers are constantly doing what they can to make our cars easier drive for a long fast stint. All the drivers get along great together and work to help improve each other throughout the weekend. Our sponsors are some of our biggest supporters helping to give us the tools and components to put our cars up front every weekend. 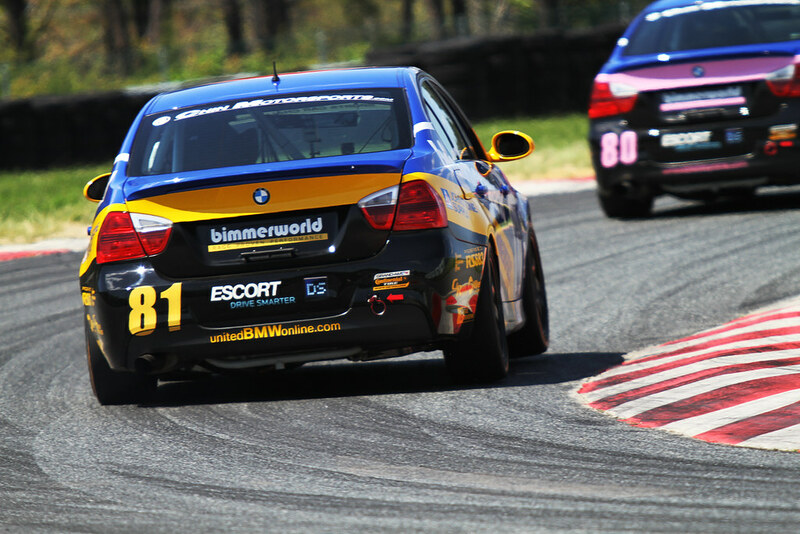 Follow BimmerWorld’s progress at www.BimmerWorldRacing.com, and be sure to watch the New Jersey Motorsports Park race on 5/26 at 2 p.m. ET on SPEED. 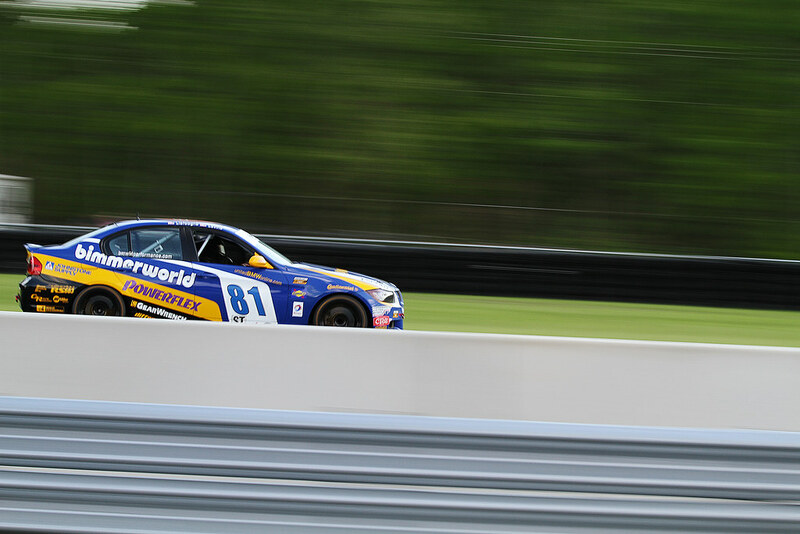 With the GRAND-AM Continental Tire Series Championship gaining momentum,Dublin,Virginia’s BimmerWorld Racing is ready to hit the track atNew JerseyMotorsportsParkjust two weeks after the most recent round in Homestead-Miami. The three-car BMW 328i team had a remarkable weekend at Homestead-Miami, placing two cars inside the top 10 in qualifying, but a number of freak occurrences led to the team retiring from the race early in the event. 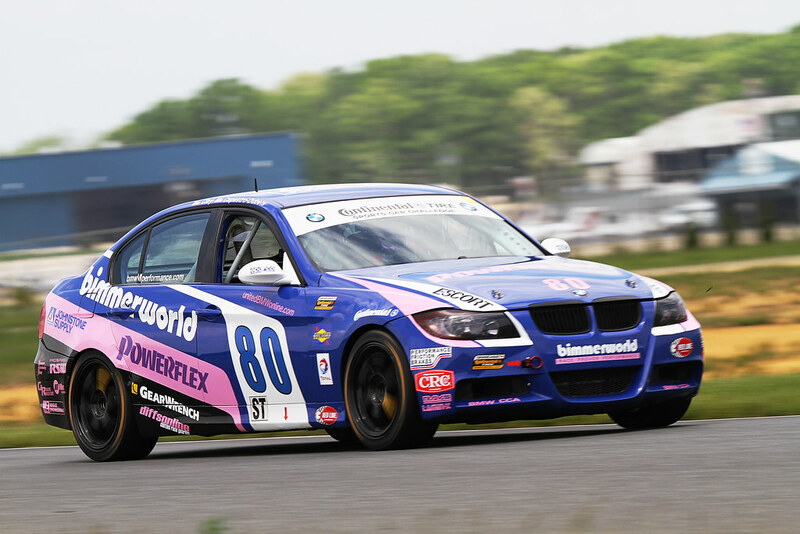 Utilizing the team’s depth of knowledge with the BMW E90 platform, BimmerWorld owner/driver James Clay is confident his staff of BMW technicians has resolved the issues leading into the race at NJMP. 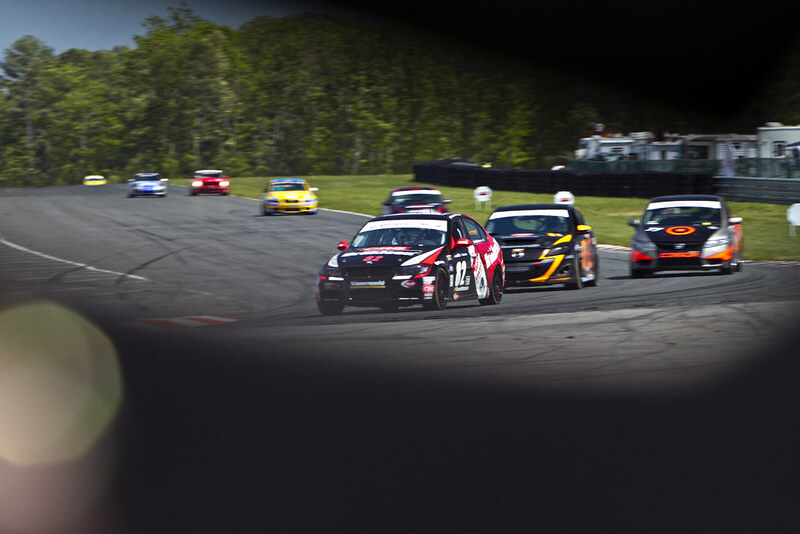 Known for its sweltering heat when it was held mid-summer, the NJMP round has been moved up to avoid the stifling temperatures and humidity that made life miserable for everyone and everything. 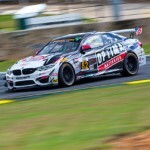 “With very high temperatures in the last few years, New Jersey has been brutal on cars, tires, crew and drivers,” said BimmerWorld’s Gregory Liefooghe, winner of Round 2 at Barber Motorsports Park with co-driver David Levine in the No. 81 BimmerWorld entry. John Capestro-Dubets, who shares the No. 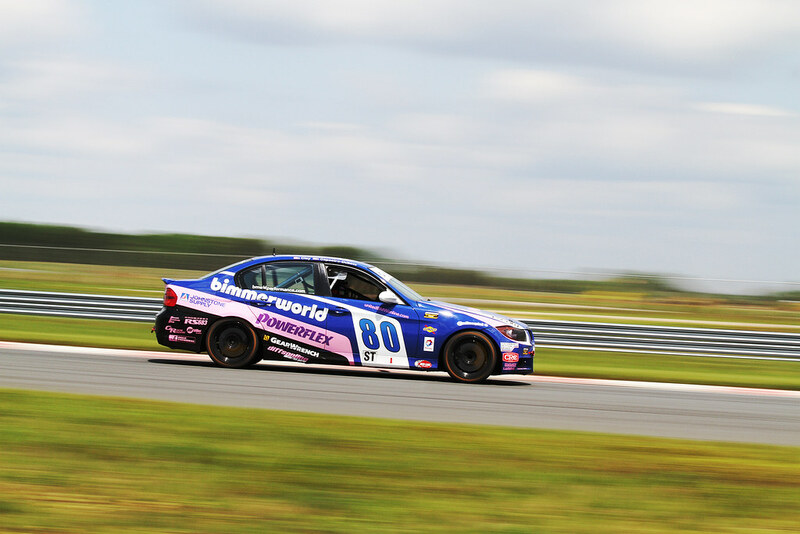 80 BimmerWorld BMW with James Clay, believes the team’s fleet of 328is could hold an advantage when it comes to consistency. On Mother’s Day weekend to honor survivor Paula Capestro, JCD’s mom, the No. 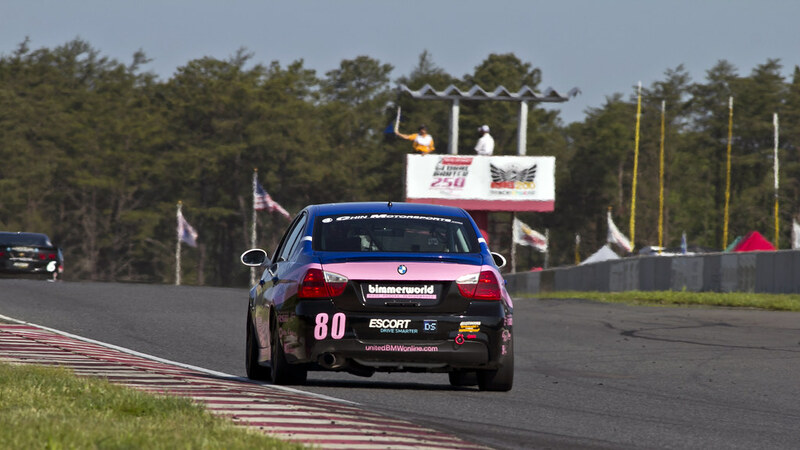 80 will also carry a unique change to its livery at NJMP, with BimmerWorld’s traditional yellow stripes replaced with pink as part of an effort to raise awareness about breast cancer and the benefits of early detection. 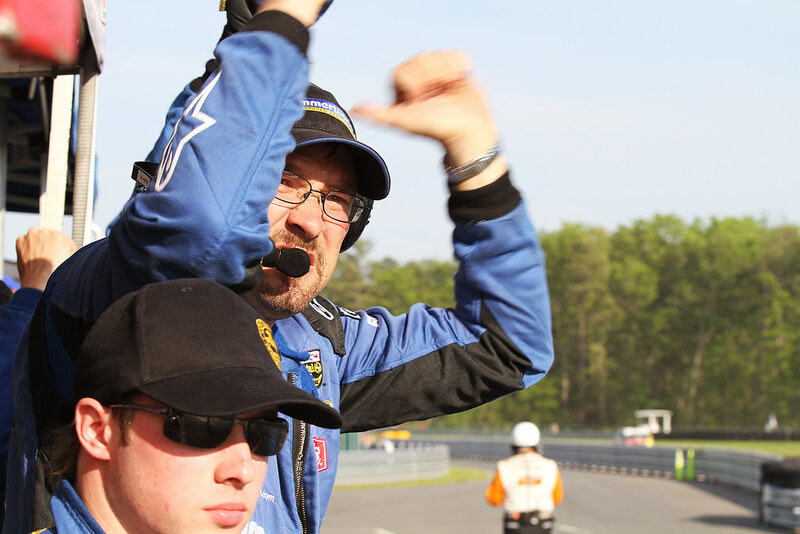 Rogers’ ascension in the Continental Tire Series has been a point of pride for everyone in the team, and with a number of veteran drivers to rely upon, his forward progress is expected to continue at NJMP. 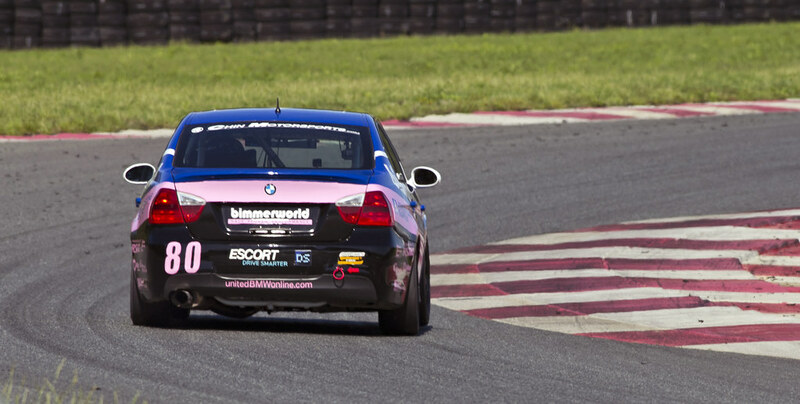 Follow BimmerWorld’s progress at Round 4 at New JerseyMotorsportsParkthis weekend at www.BimmerWorldRacing.com, and be sure to watch the race when it’s broadcast on 5/26 at 2 p.m. ET on SPEED. 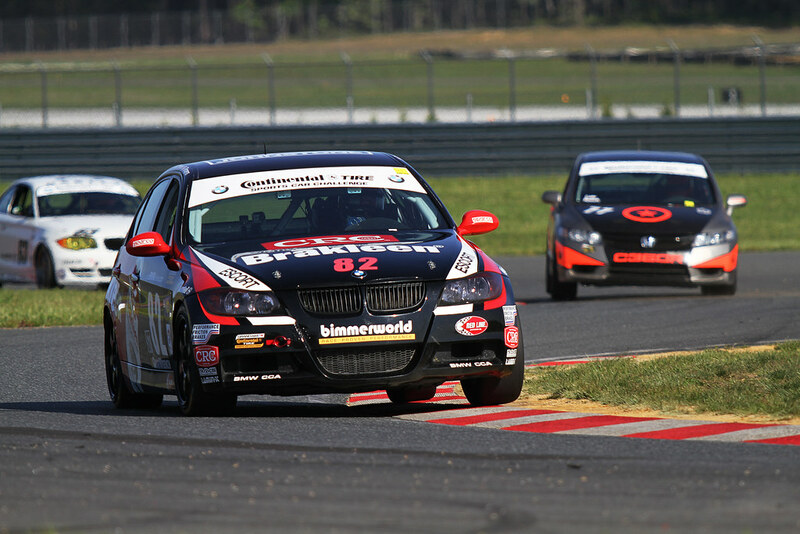 With the 2011 GRAND-AM Continental Tire Sports Car Challenge championship winding down, Dublin, Virginia’s BimmerWorld Racing continues to make progress with its expanded four-car operation. 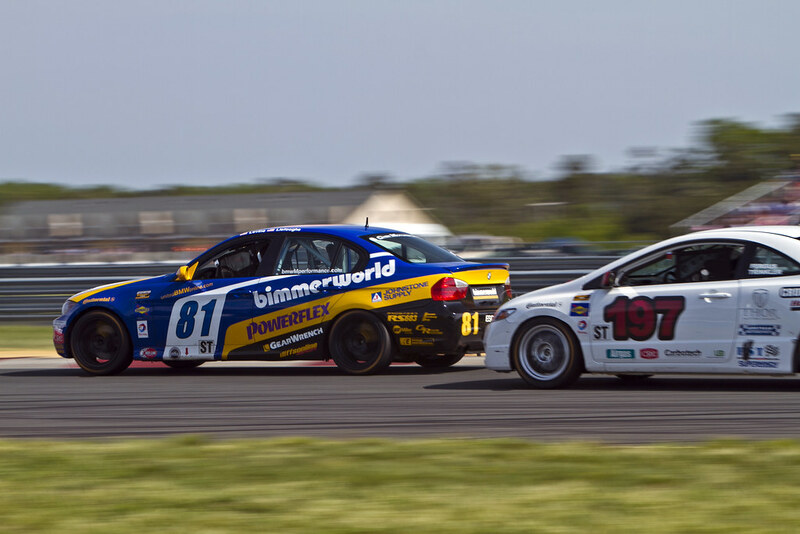 Driven by two additional goals this season–to develop brand-new Grand Sport-class BMW M3 V8s during the 10-round GRAND-AM championship and to shape those M3 V8s into contenders–BimmerWorld met its objectives once again at New Jersey Motorsports Park, site of Round 9. 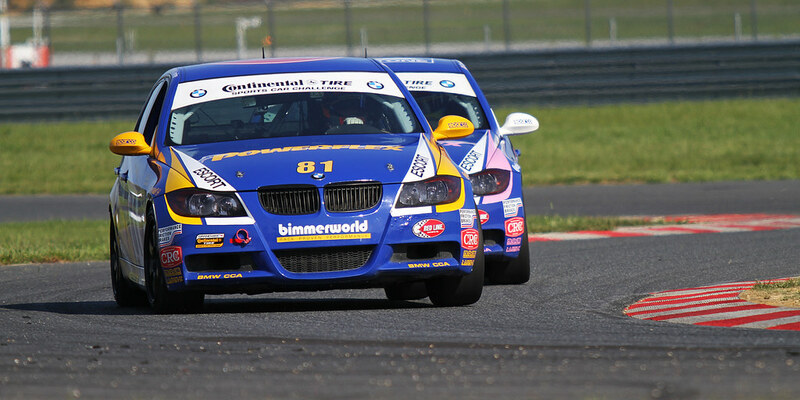 BimmerWorld team owner/driver James Clay and co-driver Seth Thomas demonstrated the growth of the team’s GS program once again, climbing from a starting spot of 15th to run as high as second during the 2.5-hour race. In the sister No. 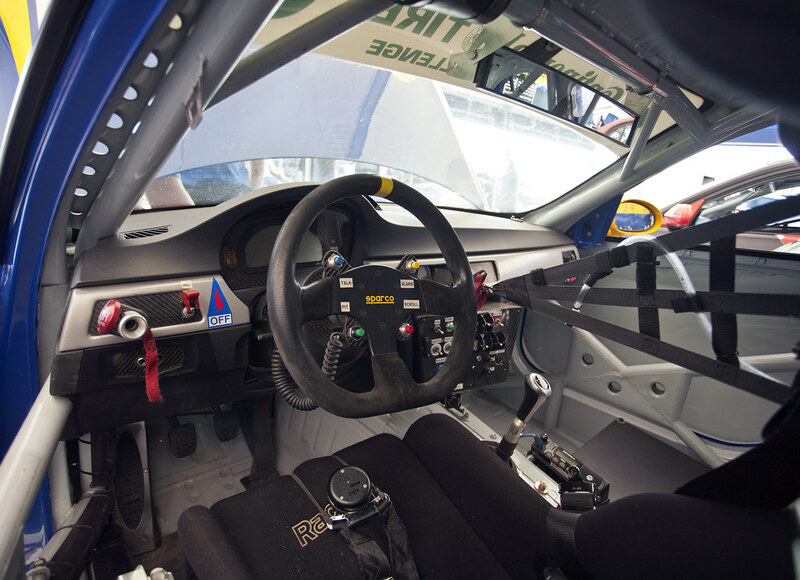 78 BimmerWorld BMW M3 V8, Gregory Liefooghe stepped up from the team’s No. 81 Street Tuner-class BMW 328i for the second time in 2011 and put on drive with new teammate Chris Ronson that was nothing short of amazing. Temperatures over 100 degrees during the race made conditions miserable for the drivers and crew, caused tires to overheat and created general mayhem, yet Clay and Thomas traded positions inside the top 10 before ending the day in seventh, their best finish of the season and the top result for BimmerWorld on the day. Coming off of a 10th at the previous round in Monterey, Clay says he’s feeling positive about the direction the GS program is headed. 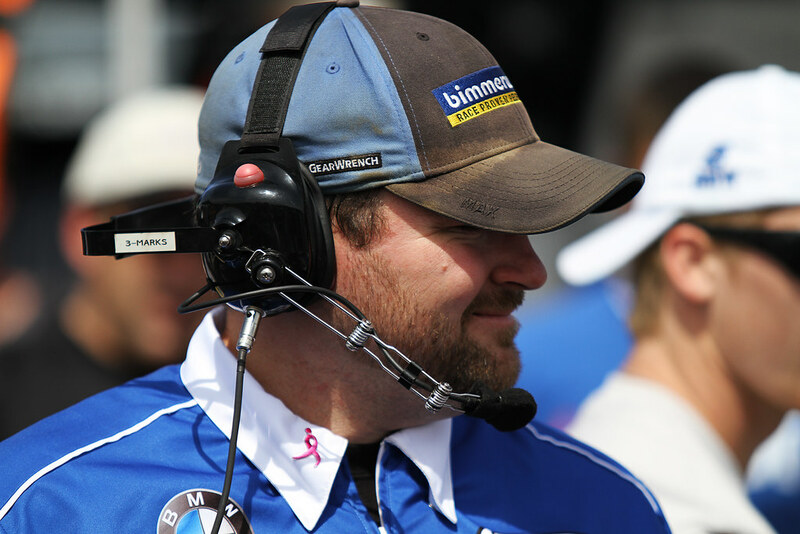 Amidst the many responsibilities Clay carries–from running his four-car team to developing BimmerWorld’s expanding base of corporate sponsors, serving as one-half of the No. 79’s driving team also falls on his shoulders. As he shares, being able to don his helmet and get down to business behind the wheel is also a rewarding part of the job. 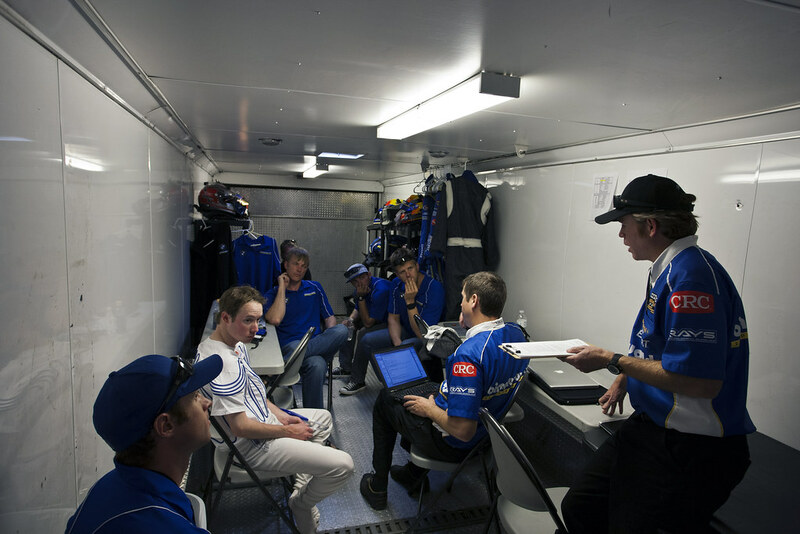 Race strategy also played a crucial role during an event where managing heat exhaustion, caution periods and avoiding contact weighed into the team’s plans. The regular practice of changing drivers at the one-third mark of the race was replaced with splitting the time in the car equally to keep from wearing out the finishing driver. The team also made bold moves to pit toward the end of a yellow flag, which helped the GS cars to gain positions as the race played out. 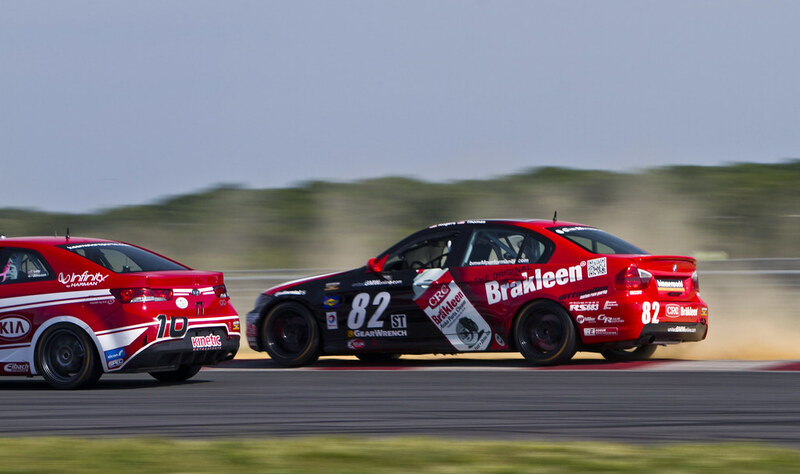 Beyond the race itself, and as part of an expanded relationship with CRC Industries to promote its Brakleen brand, BimmerWorld hosted its partners from CRC during the weekend, providing first-rate hospitality and giving their ardent supporters plenty to root for during the race. The guests from CRC also witnessed a stirring performance from BimmerWorld’s second GS entry. 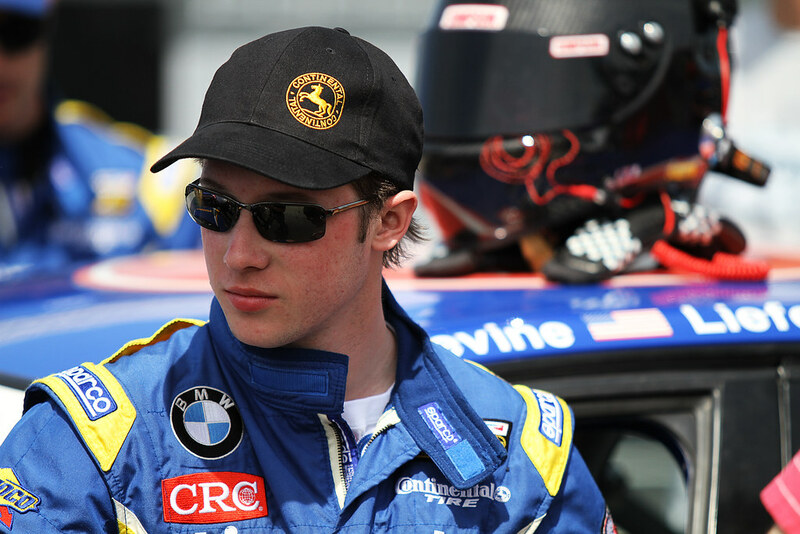 Showing his versatility in the GRAND-AM ranks, Liefooghe got up to speed immediately in the No. 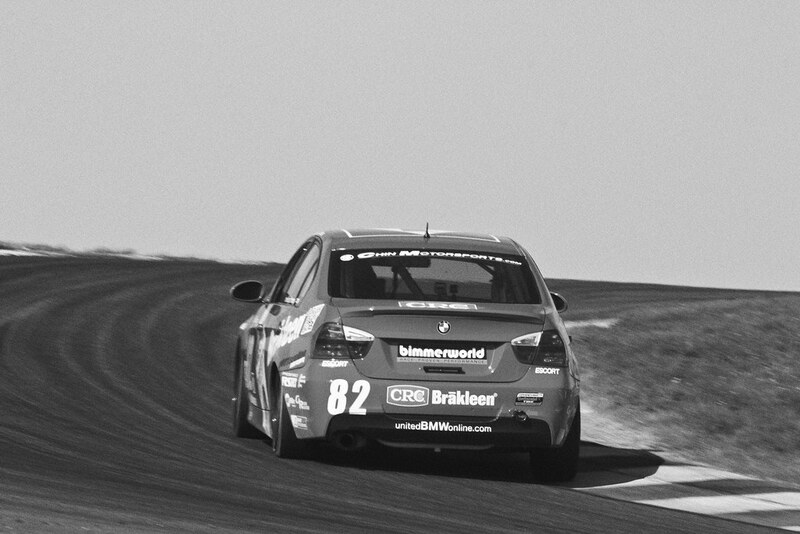 78 BimmerWorld BMW M3 V8, motoring his way from 17th to third before handing off to Ronson. 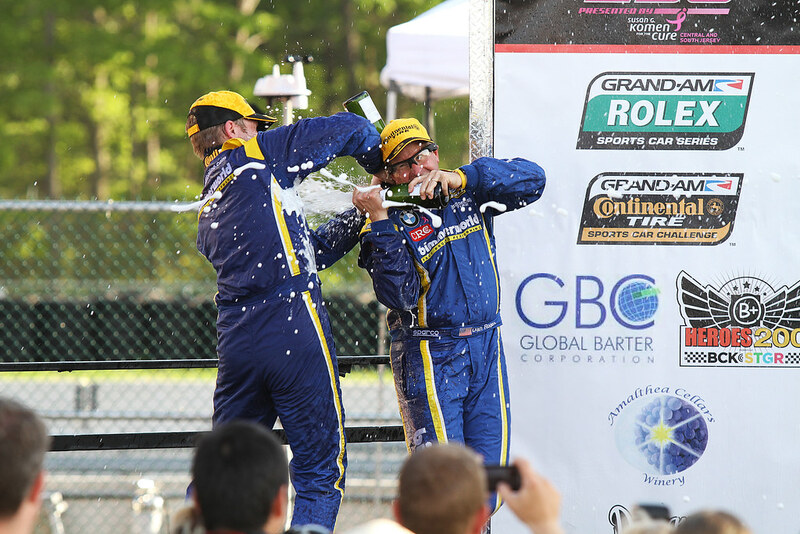 After jostling for positions and dealing with yellow flags, Ronson impressed on his way to finish 12th on his pro racing debut. Running deep inside the top 10 and working closely with Ronson were highlights of the event, according to Liefooghe. 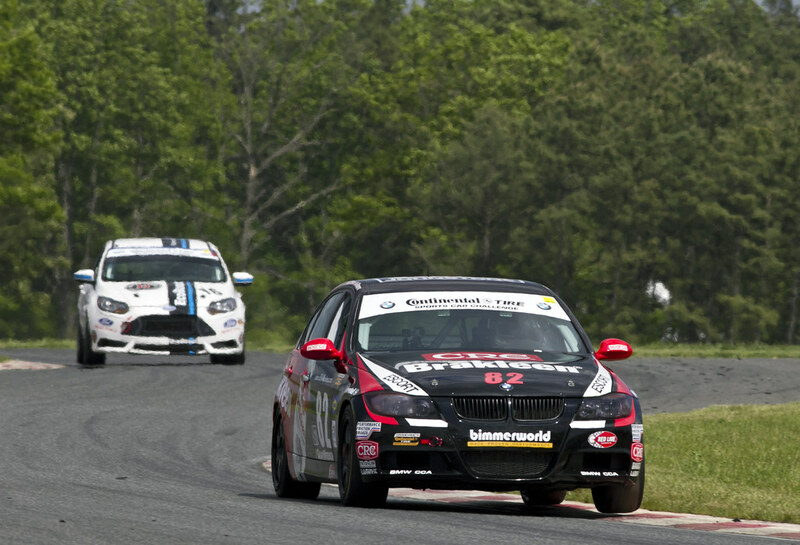 While BimmerWorld’s GS cars enjoyed good runs at New Jersey, its ST cars found mixed fortunes in the race. In the No. 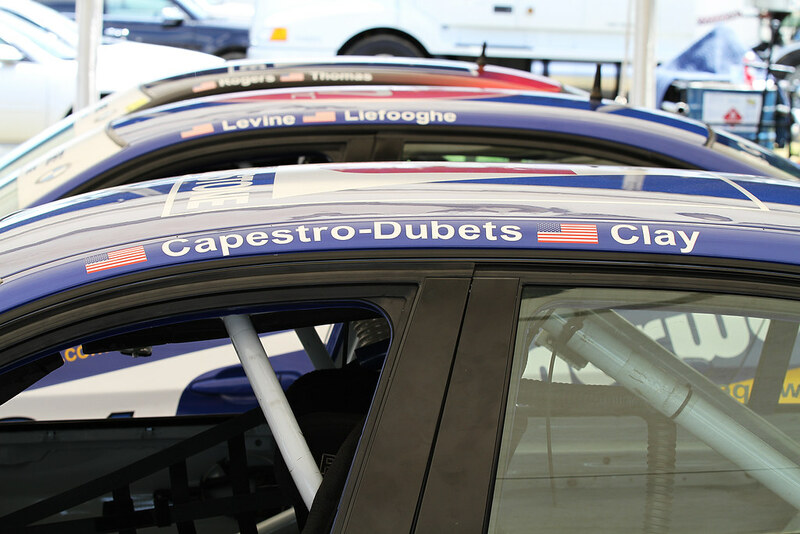 81 car, John Capestro-Dubets was thrust into a similar position as Liefooghe, leading the charge for the second time this season when his regular teammate stepped up to BimmerWorld’s GS team. 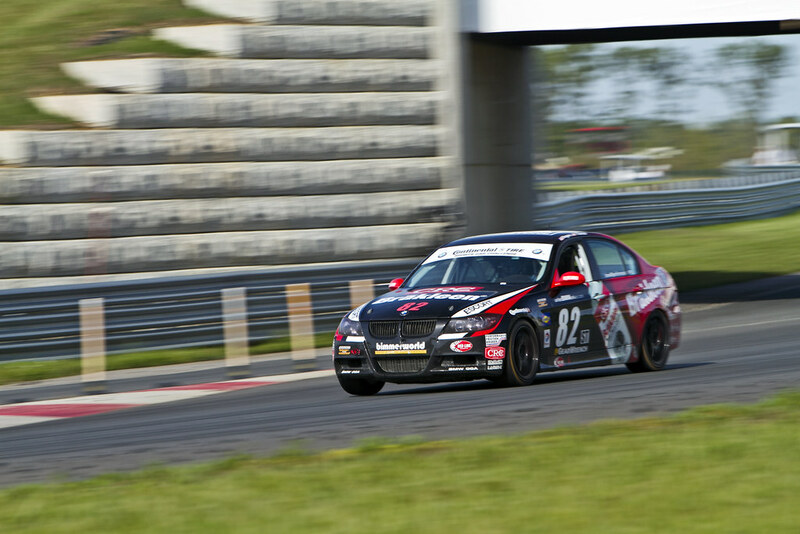 Partnered with Jason Briedis, who was making his return to the series, the two mounted a solid run but saw their race slowed by suspension damage after being hit by a competitor. BimmerWorld’s crew leapt into action to repair the car, but with extensive damage to overcome, the No. 81 went down three laps and fell from contention. 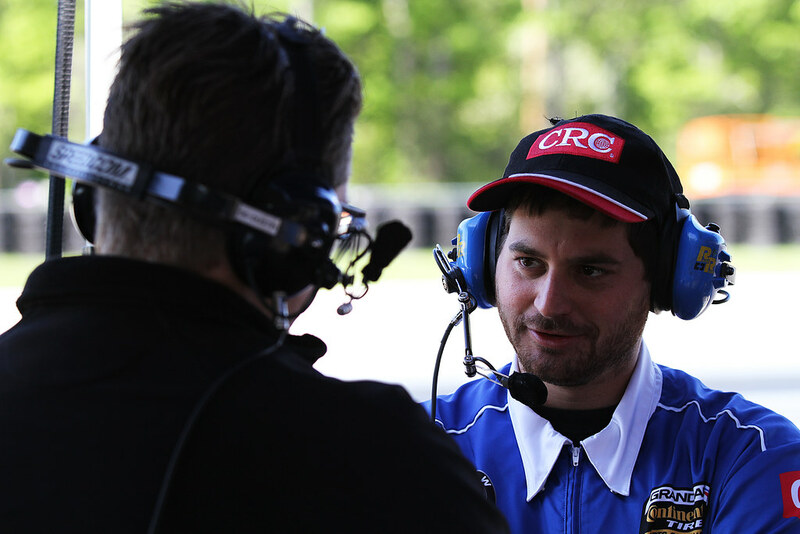 Despite losing the possibility of earning a strong finish, Capestro-Dubets returned to the track determined to reward his team’s efforts, recovering to finish 23rd in class. Giving up, as he explains, was never an option. 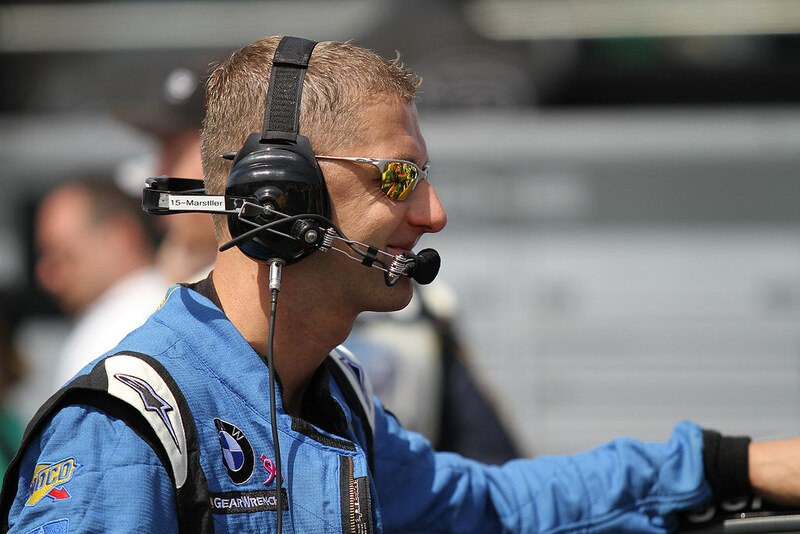 “Unfortunately, our results were limited by a racing incident but I always give a 100 percent whenever I get in the car. I believe that even with the circumstances we were dealt, I was able to show that determination is part of what’s required as a professional. You can’t quit or relax, no matter how much of a challenge you have. 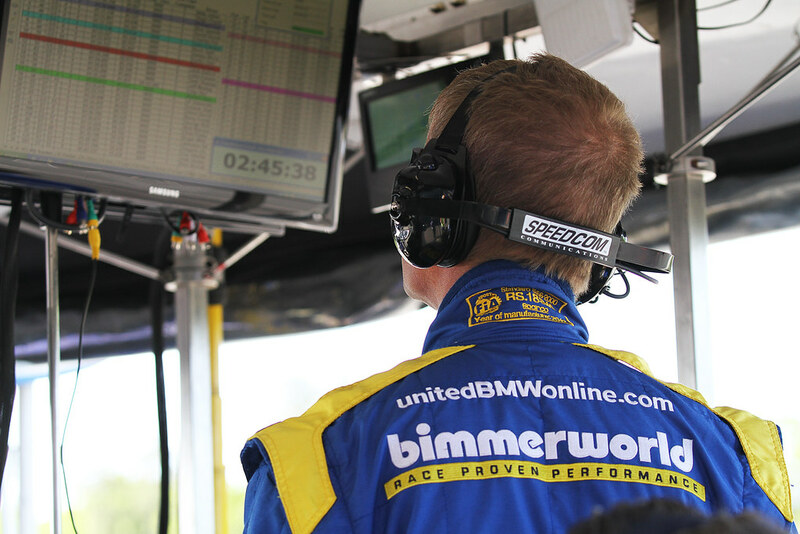 New Jersey was tough on everyone, but it gave me another chance to show how I’ve grown as a driver, thanks to my coach, Gregory Liefooghe, and to BimmerWorld for giving me the tools to deliver in a great car. 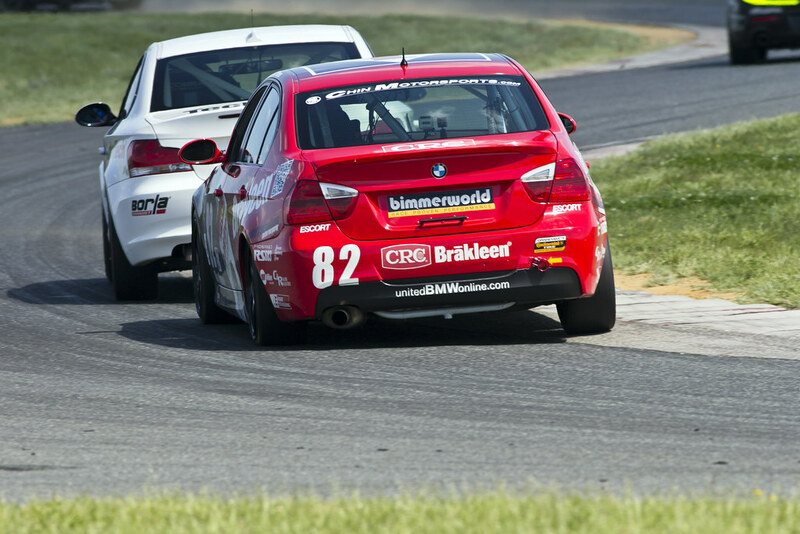 Follow BimmerWorld’s progress at www.BimmerWorldRacing.com as they prepare for the season finale at Mid-Ohio the weekend of September 16-17, and be sure to tune-in to watch the New Jersey race broadcast on SPEED this Saturday, July 30th at 3 p.m. ET. 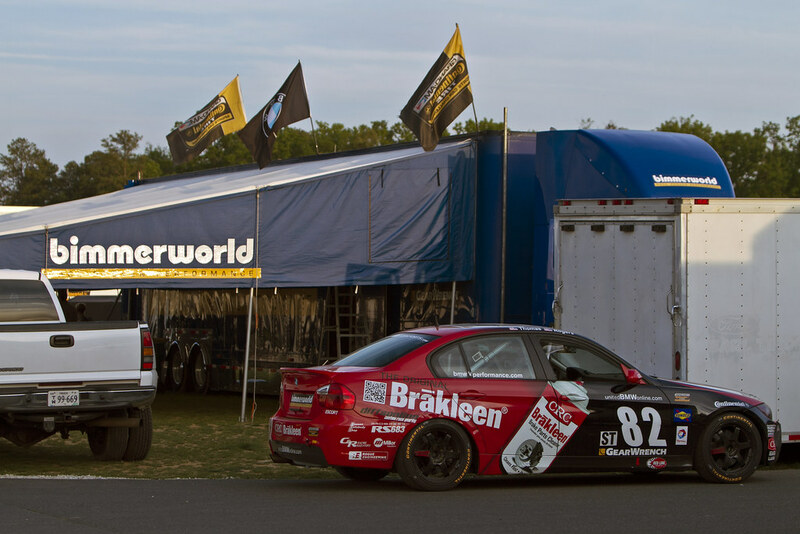 The BimmerWorld Racing transporter has been logging plenty of miles over the past two weeks as trips from its base in Dublin, Va., to the West Coast in Monterey, CA, back home to Dublin and now to the East Coast in Millville, NJ, will cap off a particularly busy period for the team. 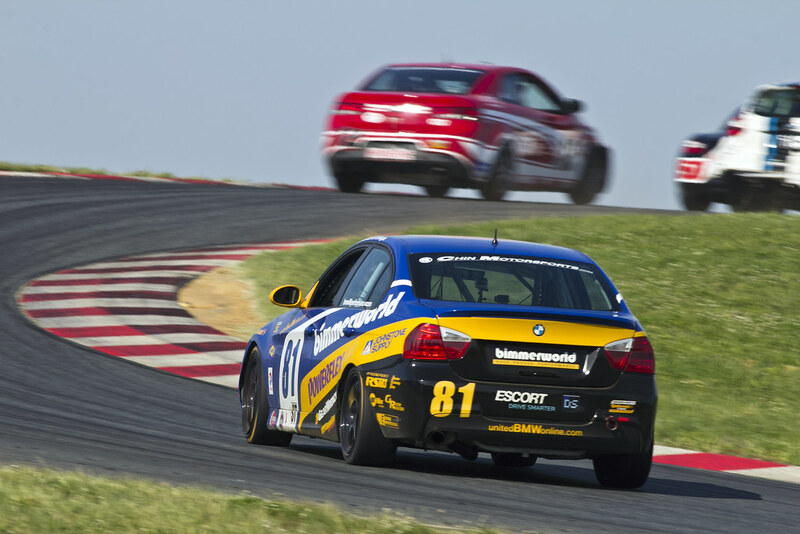 Coming off a strong podium finish by Gregory Liefooghe and John Capestro-Dubets in BimmerWorld’s Street Tuner-class BMW 328i at Monterey, the four-car GRAND-AM Continental Tire Sports Car Challenge outfit is ready for more action at Round 9 of the 10-round championship. 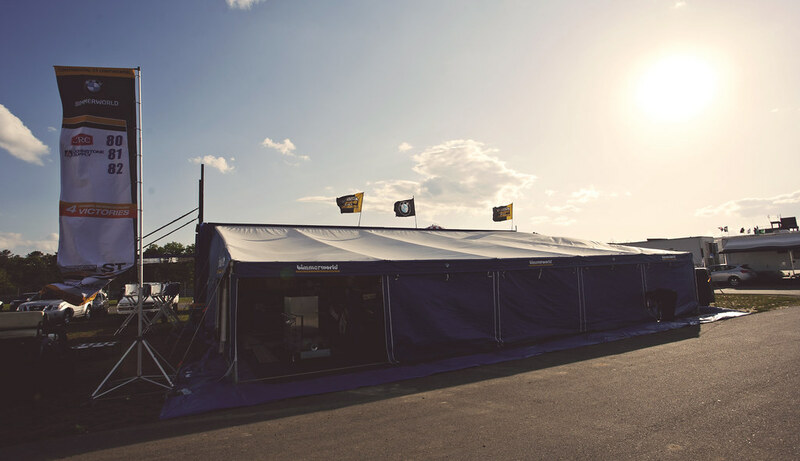 Held at the notoriously hot and humid New Jersey Motorsports Park facility, the calm, cool days in Monterey will be replaced with searing temperatures topping 100 degrees this weekend. 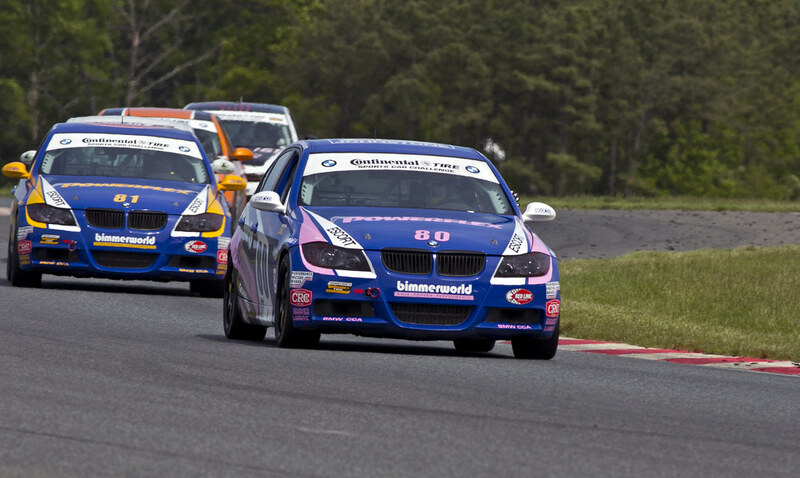 The team is hoping for history to repeat itself at NJMP, with BimmerWorld having earned finishes of second and fifth in the 2010 event with the team’s pair of BMW 328is. 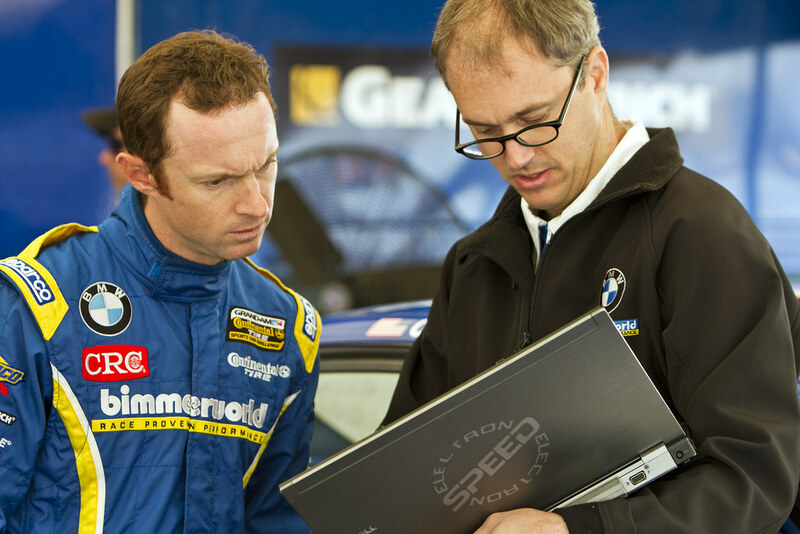 With two Grand Sport-class BMW M3 V8s added to the stable for 2011, James Clay, BimmerWorld team owner and co-driver of the No. 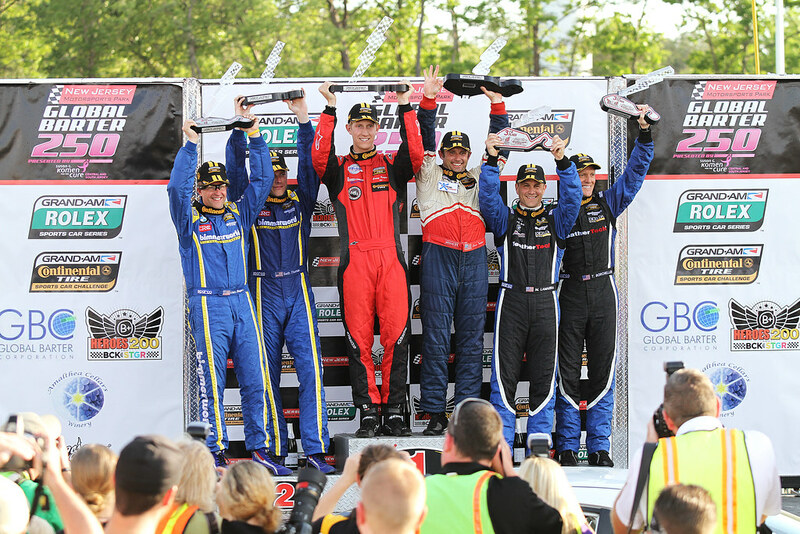 79 Johnstone Supply M3 V8, says the expansion to four cars hasn’t been easy, but the momentum continues to build in the right direction as the season winds down. The 2.25-mile, 14-turn track places a premium on many things–fitness, passing, and in particular, engine and brake cooling. 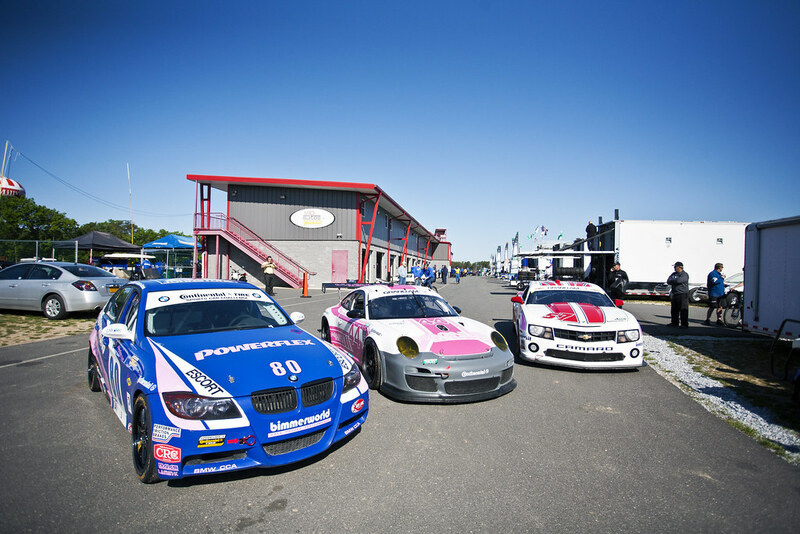 A big part of the team’s success at NJMP last year was due to the choice of radiators and brake packages, and the same companies have been integral in getting the new M3 V8s ready for the escalating temperatures they will face. 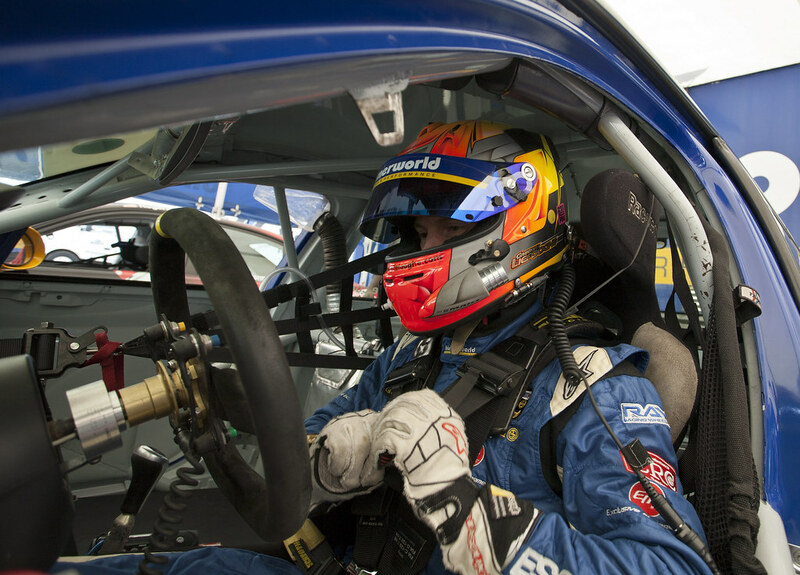 With cockpit temperatures expected to be anywhere between 100 and 140 degrees for the GRAND-AM competitors this weekend, BimmerWorld’s drivers shift their training regimen into high gear to prepare for racing in sauna-like conditions for up to two hours at a time. 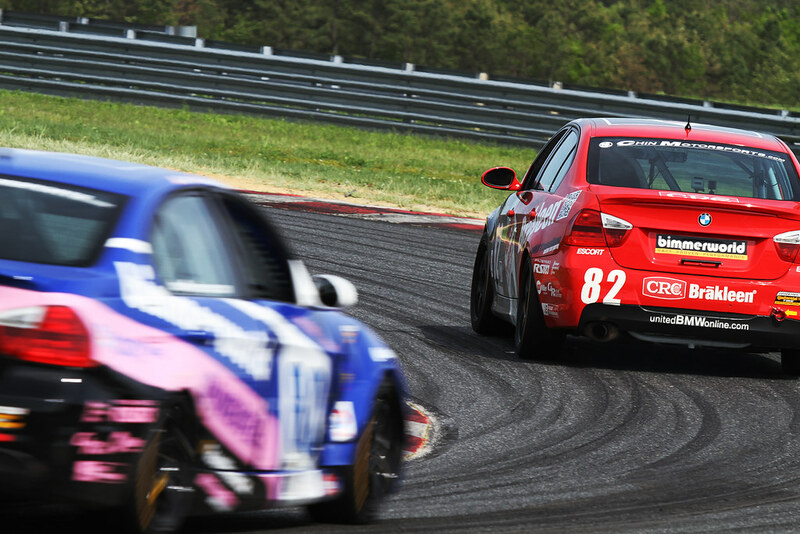 As Liefooghe explains, the time committed to ramping up one’s physical fitness ahead of the NJMP race is significant, but to succeed, it’s absolutely mandatory. 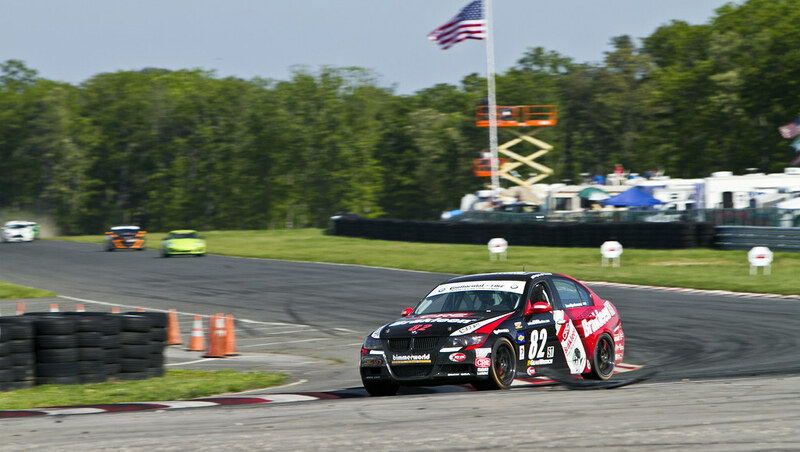 In addition to its short straights, the relatively narrow NJMP circuit is known for its limited passing opportunities. Picking and choosing where to pass, as Clay’s teammate Seth Thomas shares, can make the difference between gaining and losing a lot of positions. 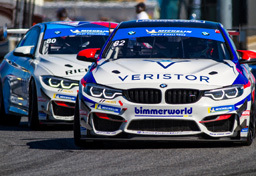 Follow the team’s progress this weekend at www.BimmerWorldRacing.com as practice gets under way for the 2.5-hour B+ Foundation Heroes 200 race on Saturday.